Great news: Floor Trusses comming soon! Floor trusses are going to be included into Wood Framing Truss+ and Metal Framing Truss+ add-ons for Revit really soon! This U.S. design firm identified AGACAD’s wall framing solution for BIM as the only software on the market that fully meets its needs for flexibility, complexity and productivity. It also says support is “prompt and remarkable”. United Building Solutions (UBS) provides design, planning and construction services throughout the Midwest. The company sees BIM technologies as the key to lean and integrated projects. In recent weeks several posts have been published on the new blog by Donatas Aksomitas, the CEO of AGACAD, at www.bimaxon.com. Links are listed below. The AGACAD blog has been ranked #11 globally on a new list of the TOP 40 CAD BLOGS on the web which was published this month by online news feed compiler Feedspot. The rankings are based on Google reputation and search ranking, influence and popularity on social media sites, the quality and consistency of posts, and review of content by a panel of editors and experts. Feedspot notes that AGACAD posts high-quality content for BIM professionals and decision makers approximately twice a week on average. Automated custom shop drawings were the main reason this international engineering firm got AGACAD’s software for modelling precast concrete elements in Revit. But it now says the benefits are much bigger, and have been welcomed both by the members of its team and its customers. Norconsult AS is a top engineering consulting firm based in Norway which has worked on projects in more than 150 countries over the past 50 years. The company is steadily growing thanks to its focus on quality and bringing creativity and innovation to every project stage. Norconsult aims to boost both productivity and quality through the use of innovative BIM technologies. In that context, it needed an efficient way to design precast concrete elements in a Revit® environment. “For the sake of collaboration within the company, we wanted to use Revit for precast projects. But we were struggling with a great deal of manual work, especially for creating shop drawings from the models,” notes Henrik Thingbø, a structural engineer at Norconsult. The solution had to automate the creation of shop drawings that were in line with Norconsult’s own preferences and standards. It also had to be user-friendly enough for use by any team member without need for special training. This webinar is intended for modellers, MEP modellers, MEP engineers, Structural engineers, architects, and fire protection engineers. Cut Opening creates openings with fire safety components for MEP services in walls, floors, roofs, ceilings, beams, and columns throughout an architectural or structural Revit® model in real-time for high-speed and precise design and drawings, accurate bill of materials, and builders work drawings. In the previous webinar on Precast Concrete, we did a general overview of our Precast tools, quickly running through different examples of precast elements. As promised, we will host 3 additional webinars about modeling precast structures and generating documentation for them. So now it‘s time to divide the information into smaller pieces and concentrate on particular types of elements. First up – slabs! In this webinar, we’ll show how to prepare layouts of various slabs and add additional details and cuts automatically. After modelling, we’ll sort and schedule them and prepare automatic shop drawings with predefined dimensioning and sheet layout settings. 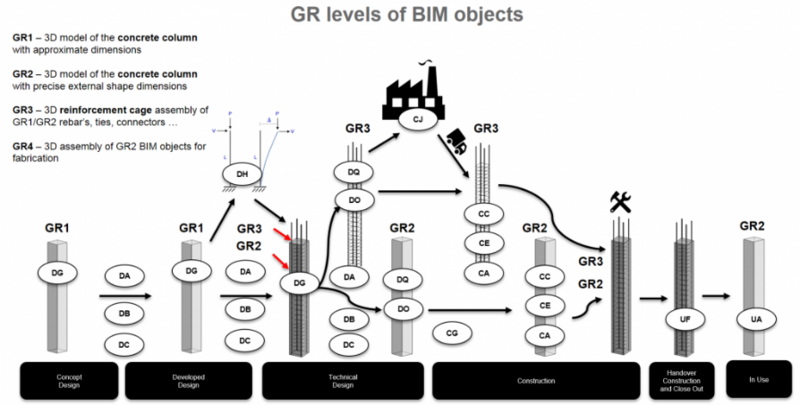 Everything you need to know for modelling precast floors in Revit! Innovative new approaches to BIM data management and exchange are the focus of “BIMAXON: BIM to the point” – a blog for BIM specialists and AEC industry professionals recently started by Donatas Aksomitas, the CEO of AGACAD, at www.bimaxon.com. We encourage you to visit and subscribe. “It’s often said the ‘I’ in BIM is ‘big’ since information is the key to everything in this field,” Donatas says. “Fair enough. But in today’s big-data world there’s a risk of overload – too much information, much of it with no use or value, clogging our heads and IT systems and slowing our work,” he adds. AGACAD will be exhibiting and/or presenting this year at AEC industry events in France, Denmark, the USA, Canada, and more. Here’s the current list. Mark your calendar and come by to say hello!